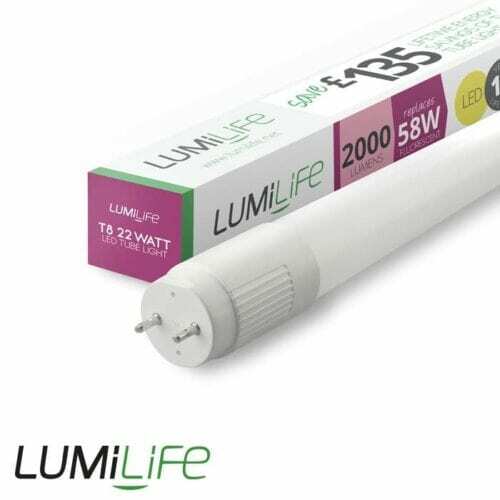 Boasting up to 2,000 lumens of light, this LUMiLife 22W LED T8 is our brightest in the new range. You can replace a 58W fluorescent T8 tube and not notice any reduction in brightness, just lower energy bills. 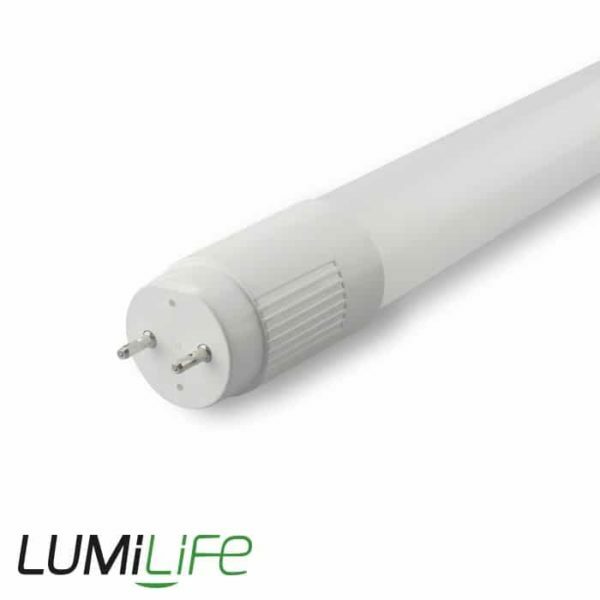 Ideal for commercial settings, care homes, offices and the like, the LUMiLife 22W LED T8 features a 200° beam angle, offering enhanced lighting coverage. This tube has been built to last up to 30,000 hours. And the best bit is, that’s 30,000 hours of maintenance-free use as LEDs are designed to offer the same high standard of quality, from the first day to the last. Design-wise, it features a full glass cover that’s been proofed by a protective coating that reduces the impact of shattering, should it occur. Choose from Cool White (6500K), Daylight (4000K) and Warm White (2700K) colour options, so you can create the perfect lighting scheme that suits your demands. It’s not necessary to make any change to wiring. Starter must be replaced with the LED starter provided. Partnering with Batteries Plus Bulbs Group, the LUMiLife brand of LED lighting is sold throughout the United Kingdom, Europe, Africa and Australia. Products with not only value for money and quality in mind, but reliability and longevity. 5 Watt GU10 LED Spotlight for 50W Replacement. @ZEROhomebills.com, @0bills.com, @solaranna.co.uk, @ZERO NIL NADA, @ZEROnilnada, ZERO HOME BILL, SHOP and REDUCE your home and utility bills to ZERO with our products and services. BEST products, from the BEST brands at BEST prices available. SHOP and REDUCE your home and utility bills now with Solaranna. SHOP and REDUCE your home and utility bills to ZERO with our products and services. Follow us on Twitter.